Keep insects out of your home and lawn! 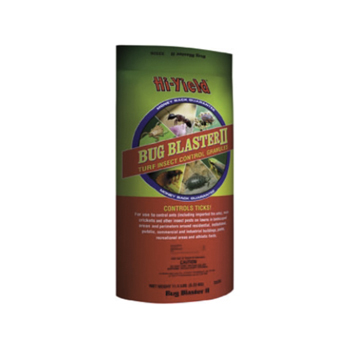 Hi-Yield Bug Blaster II Turf Insect Control Granules provides broad spectrum control of insect pests in Lawns, Landscapes, Perimeter around Homes and Buildings. Controls FireAnts, Fleas, Ticks, Mole Crickets, Chinch Bugs, European Crane Flies, Scorpions and other listed insect pests.